First flight of this plane was September 20th, 2014. 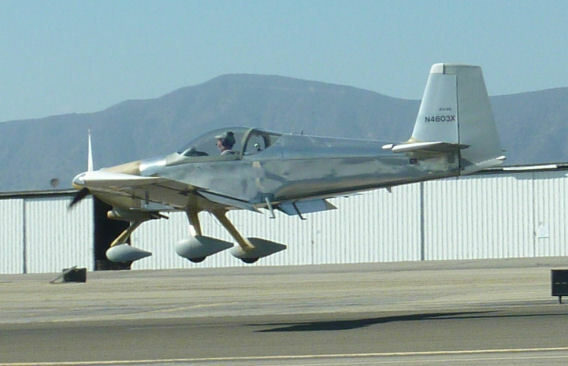 The RV-9A roared off the runway with the characteristic crisp healthy exhaust note that is the tell tale sound of a happy EFII engine. 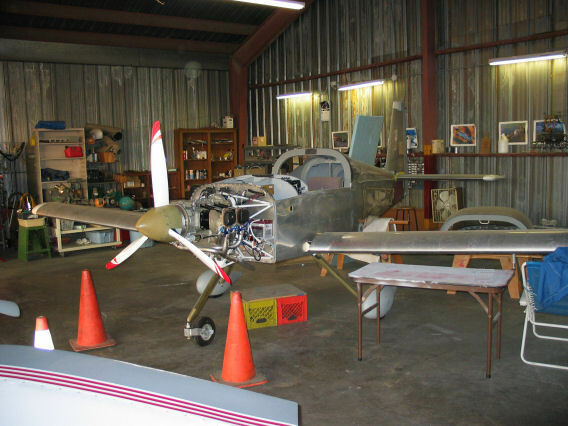 Greg Dillon's RV-9A with its EFII O-320-H2AD engine has earned its wings. A few more parts to bolt on and it will be time to fire up the engine. 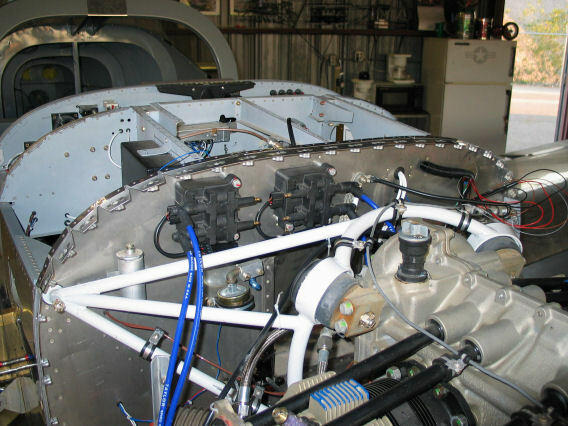 Here you can see a typical updraft throttle body installation on Greg's O-320. The throttle position sensor (TPS) is located on the left side (as pictured) of the throttle body. 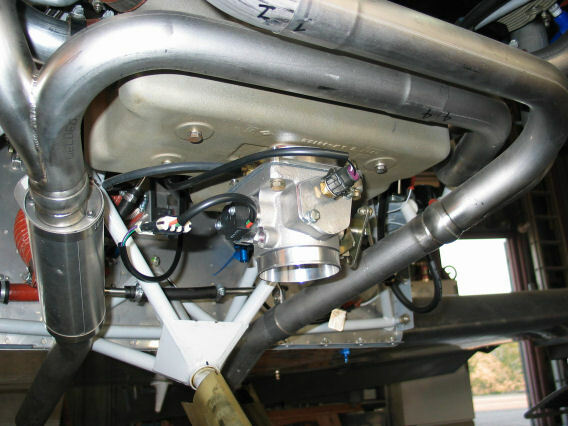 The intake air temperature sensor is higher and to the right of the TPS in the picture. Greg has opted for firewall mounting of the coils. This O-320-H2AD only has one mag drive entry on the accessory case leaving inadequate room for accessory case mounting of the coils as we would do on most installations. 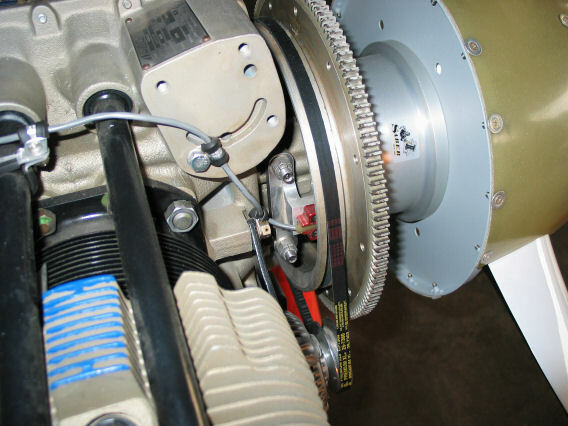 In this picture, you can see the billet crank trigger sitting under the flywheel. 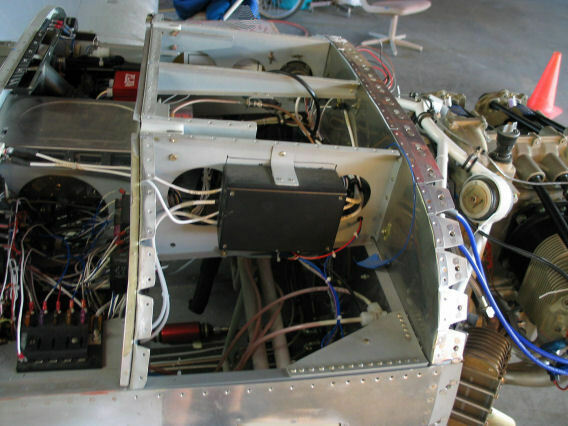 Greg has mounted his Bus Manager on the rib forward of the panel to provide a triple redundant Essential Bus to power the critical electronics. We should hear some noise out of this nice installation very soon! Greg has had his first engine start and a couple of short runs. The engine started instantly, as they always seem to! 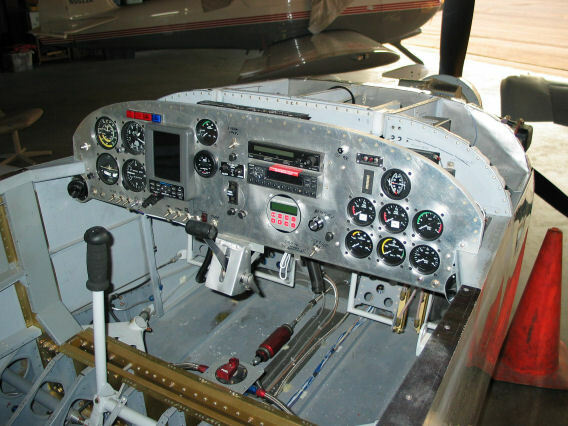 Now to finish a number of small airframe projects, then it will ground run time!